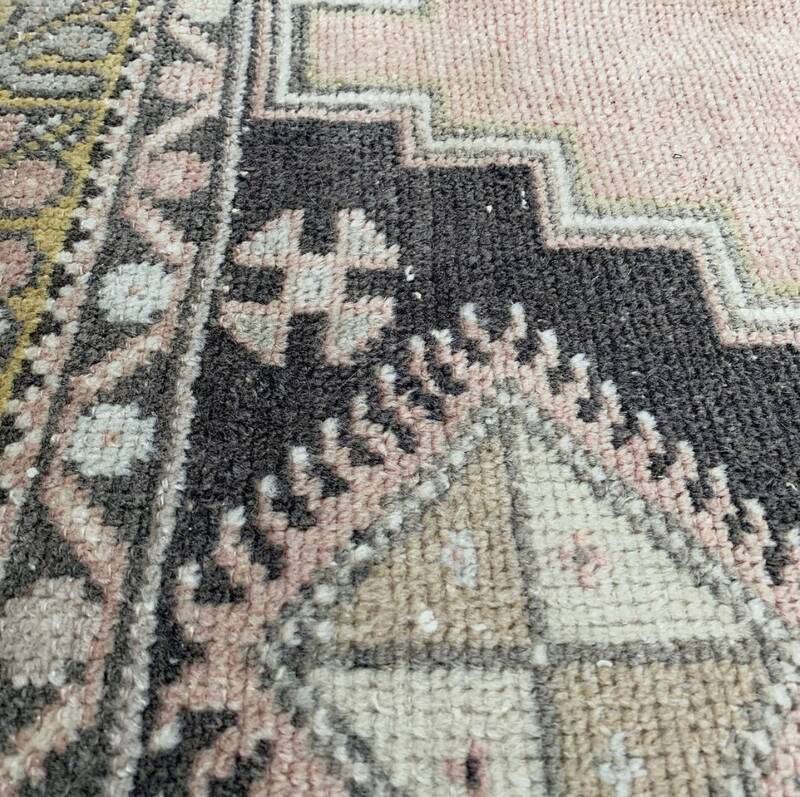 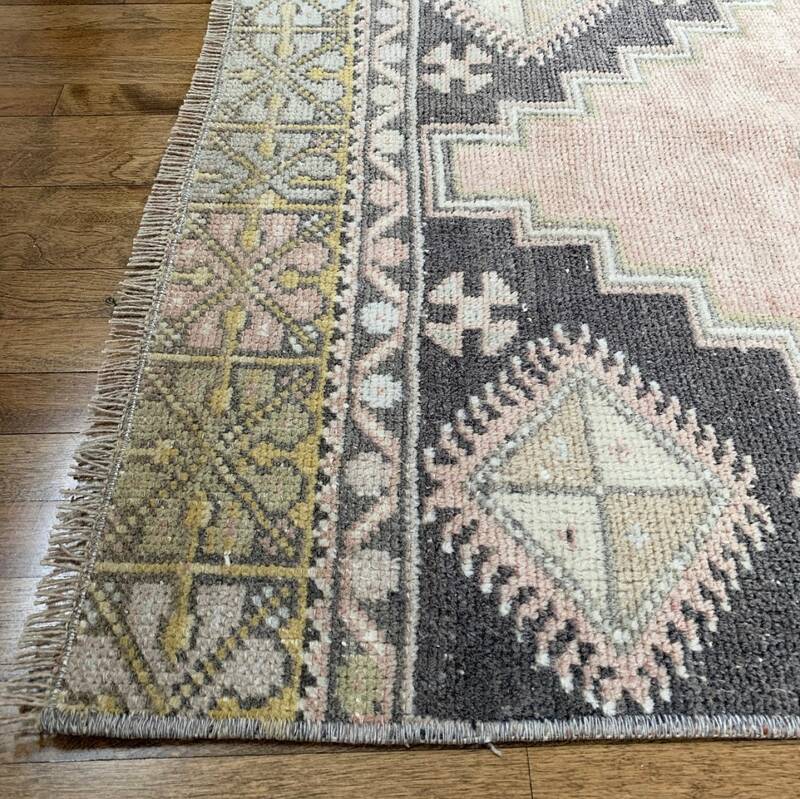 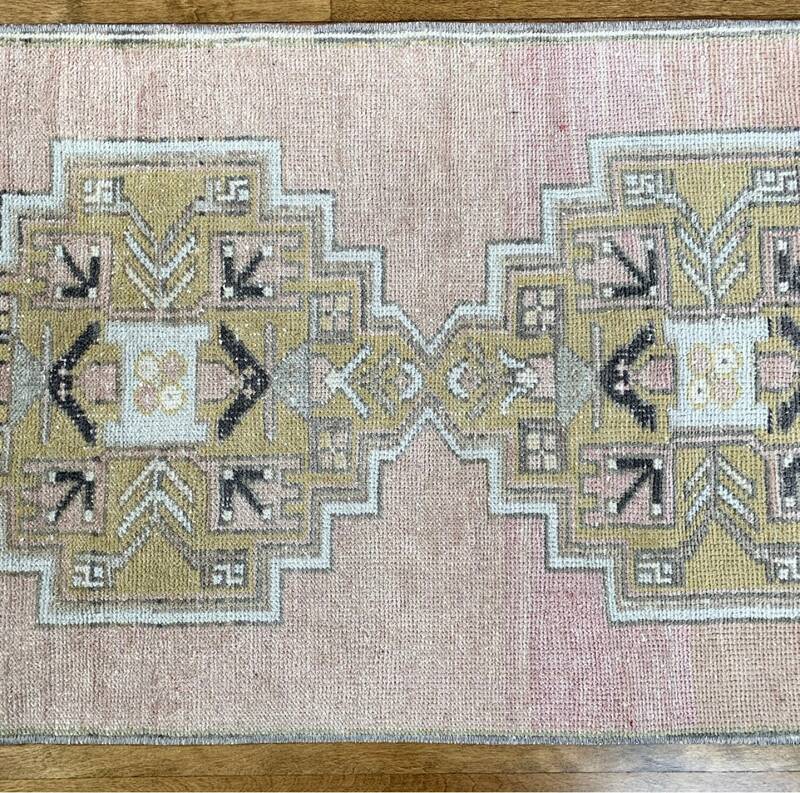 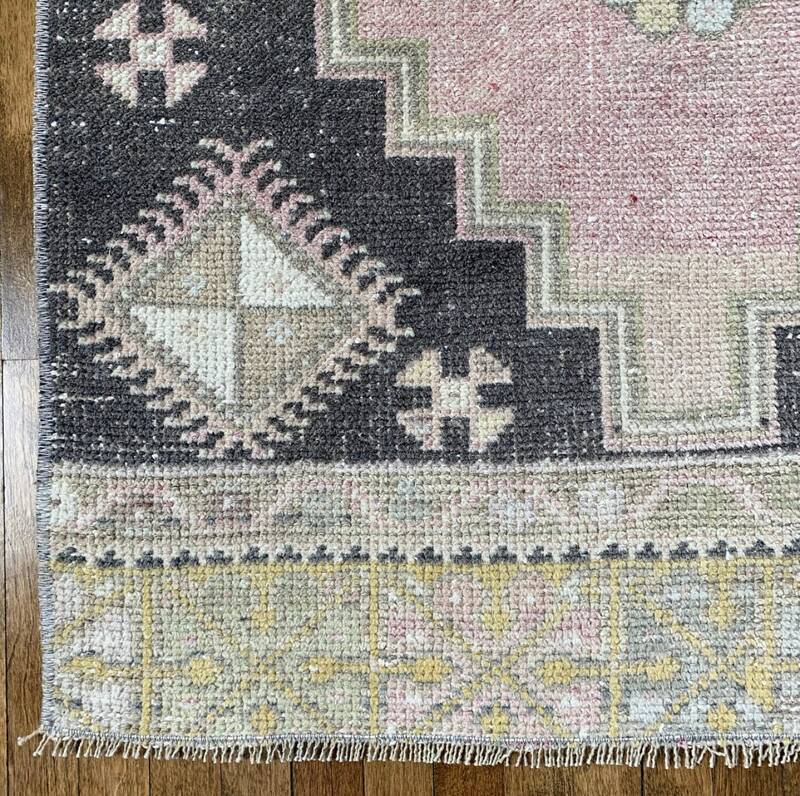 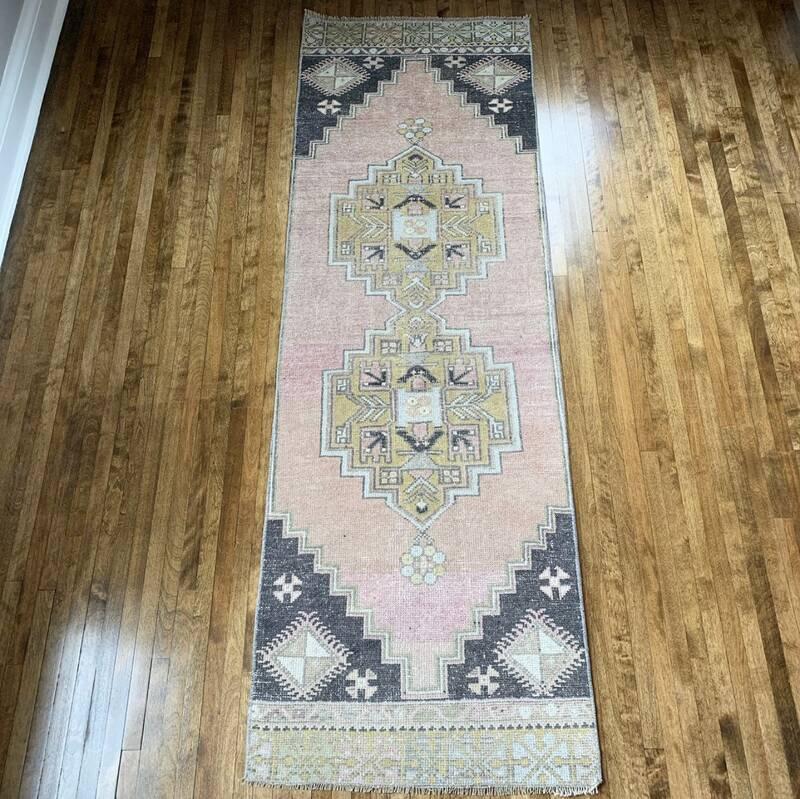 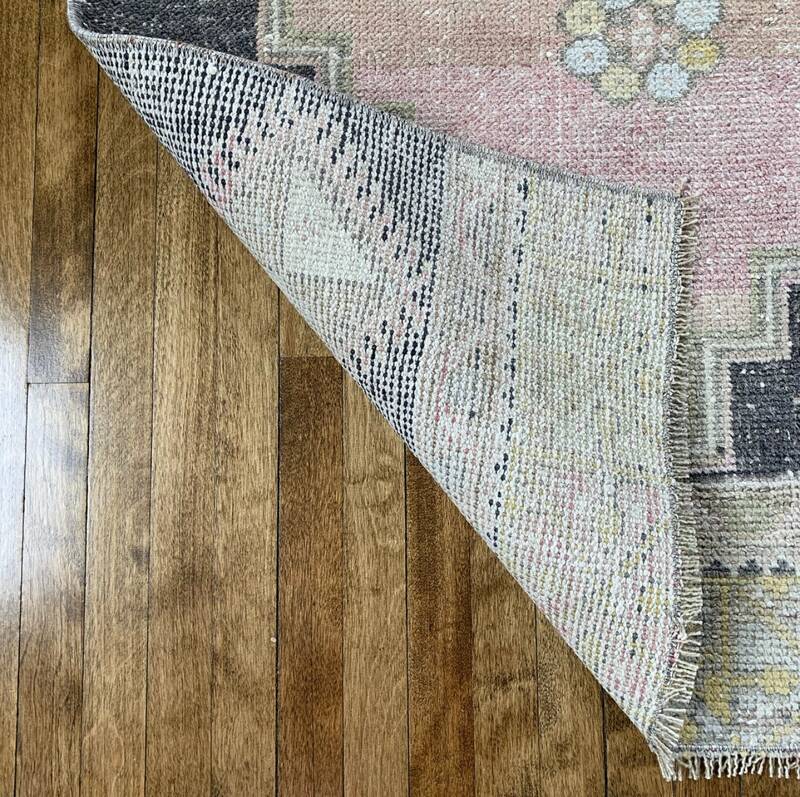 A hand-knotted vintage Turkish rug from the 1940s in excellent condition with pale pink and blue-gray, and golden yellow details. 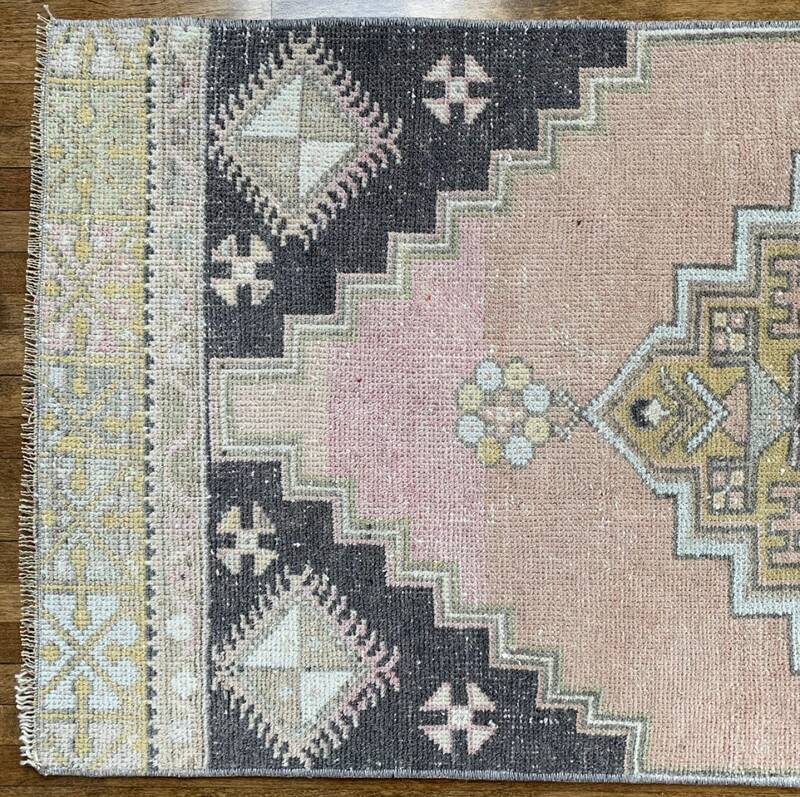 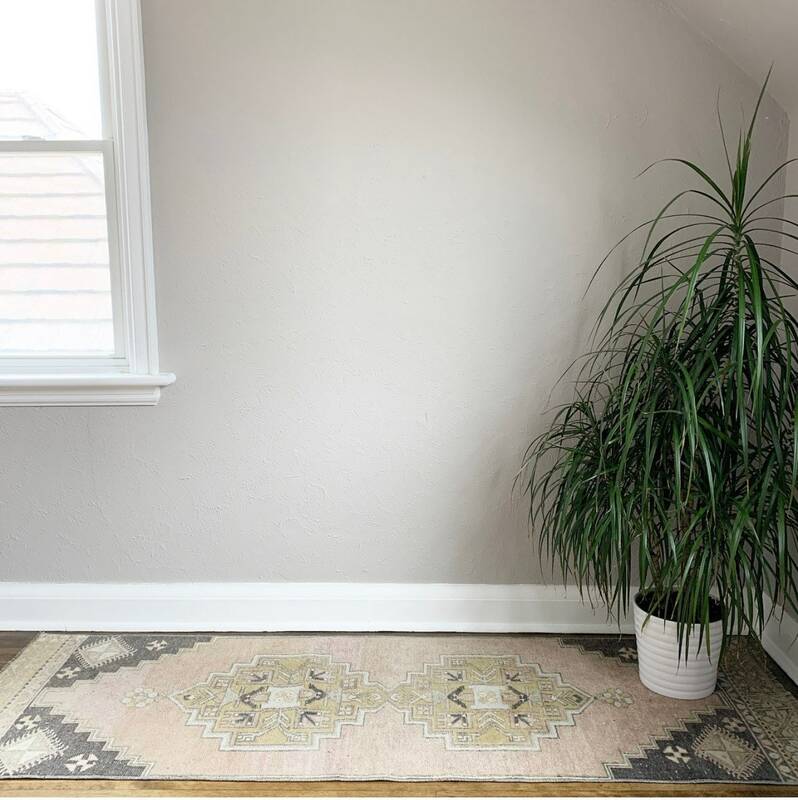 This rug is stunning and will definitely be a conversation piece - it would work well in a living room, bedroom or office, or as a runner in a hallway or kitchen. 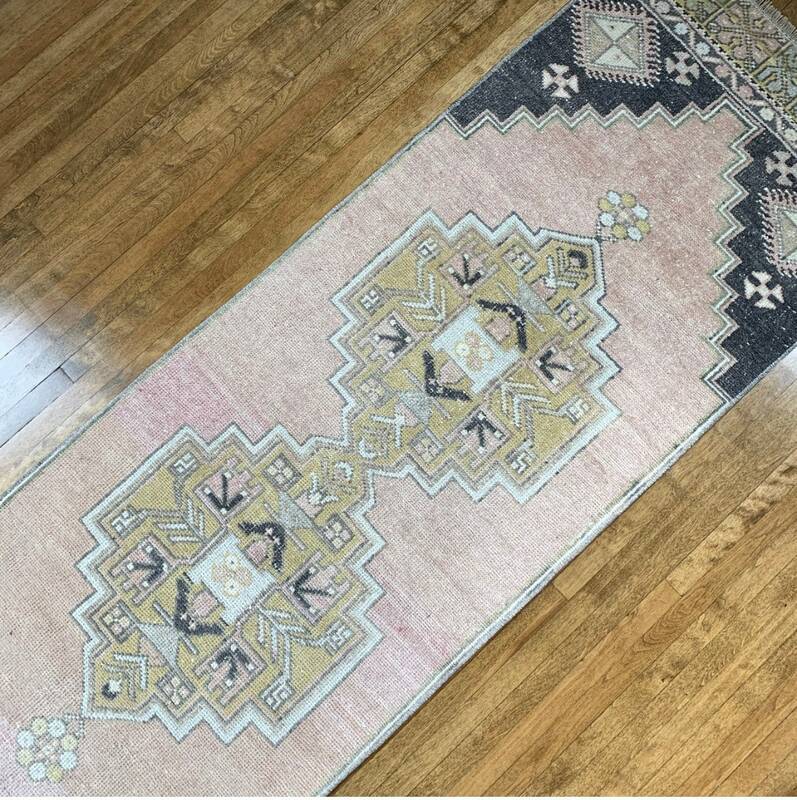 Turkish Oushak rugs are durable and stand up well to high traffic areas, regular vacuuming and spot cleaning.